Hey everyone!! Happy New Year. So I am finally getting on with this series of posts which was due about 4 months ago. It has already been over 6 months since this vacation but while writing about it, I am totally reliving it. Would you believe it if I told you we covered close to about 5-6 states in The United States of America in 21 days? Sounds crazy right? Well it sort of was. We had loads of fun, but it was also super hectic. I am going to break the trip down into a series of posts. 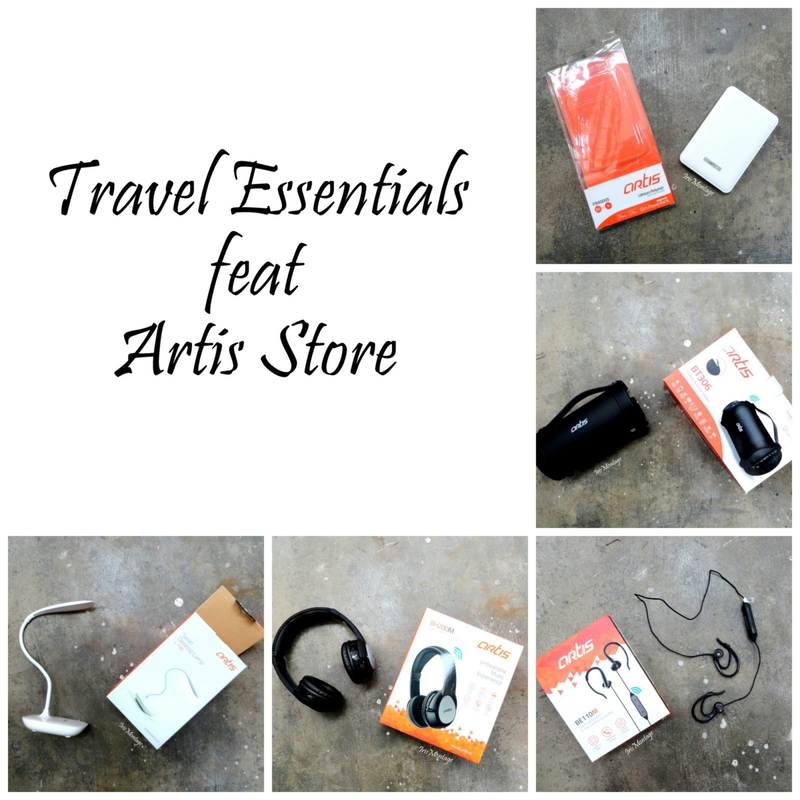 I will talk about the places we went, what we missed, places we ate, how to pack for the trip, some tips on how to plan for the trip and all that over the entire series. So make sure to stay subscribed to the blog via email for notifications. First of all let me mention that we planned this entire trip by ourselves. When I say we planned, I actually mean my dad, my sister and my husband planned it with excel sheets and whatnot. I just went along with the flow and planned my outfits. How did we fly to US? We chose to go via Heathrow as the 2 flights had a similar duration. Chennai to London was about 9 and half hours while London to Newark was about 7 and half hours or less. We had a 5 hour layover at Heathrow which was great because my parents flew in from Bangalore and we all flew together from Heathrow to Newark. Why Newark? Because everyone told us that it is an easier option, so it was closer to New Jersey, and that was out first stop. We went British Airways both the ways and it was pretty comfortable. State of Pensylvania - What to see, where to stay, what to eat. Starting with Pennsylvania because that is where the adventure starts. 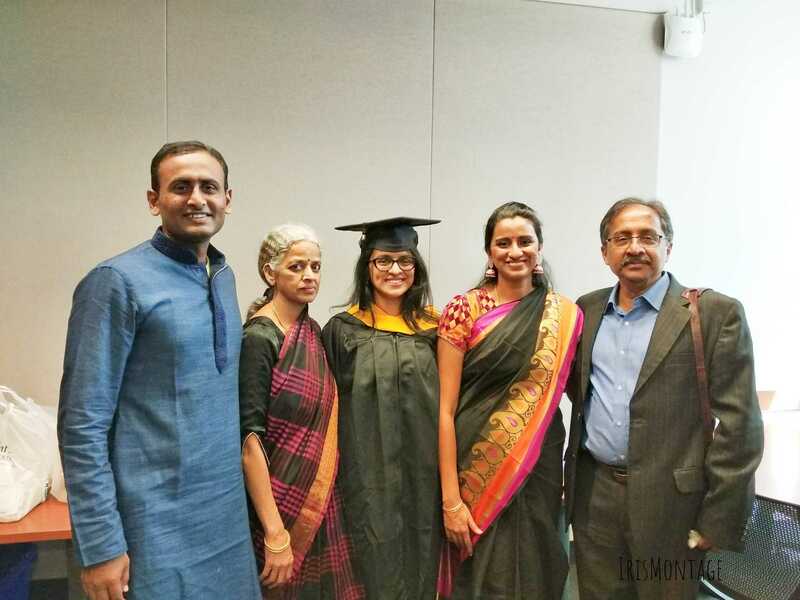 We went for my sister's graduation. 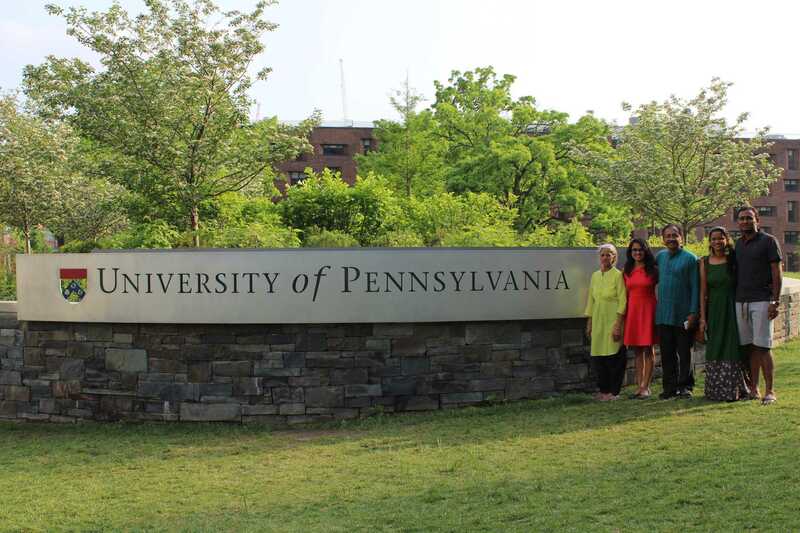 She studied at Upenn, Philadelphia, and so naturally Pennsylvania was the first place on your list. 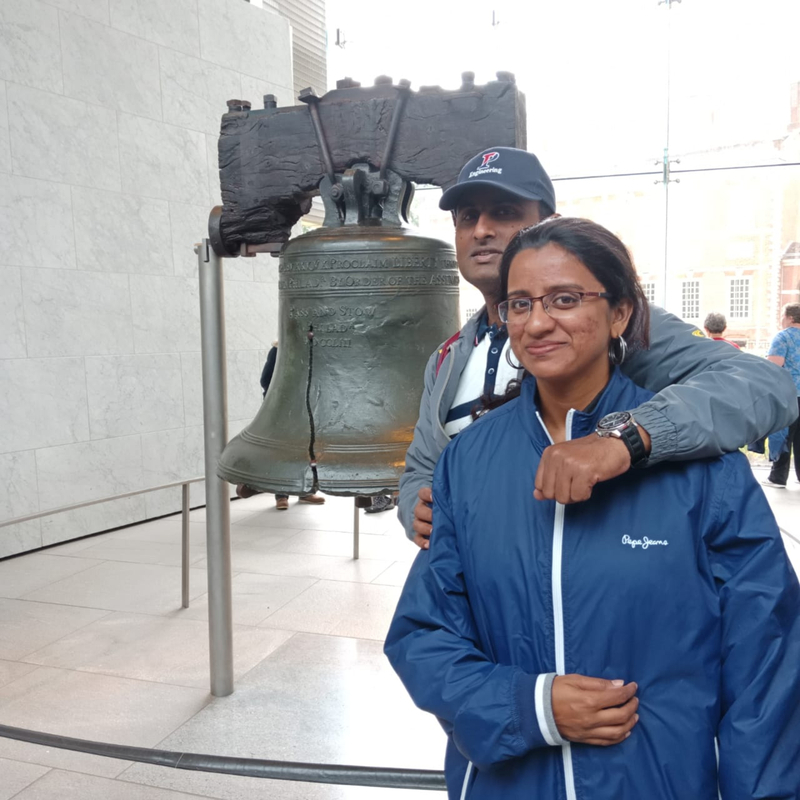 Now we didn't actually do any sight seeing in Philly the first few days because we were busy with her graduation ceremony. We stayed at 2 different Airbnbs during our 4 days there. Both of them were clean, had some basic items in the kitchen. One of them had 2 bathrooms and the other had only 1. So that is something you would definitely want to take a look at before booking. We were 4 people staying in the Airbnb so 1 bathroom was certainly a constraint. 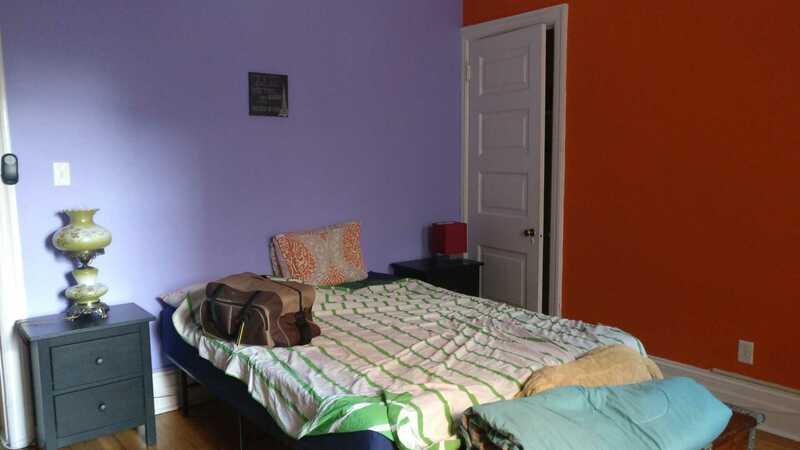 This was my first time staying at an Airbnb, ever, and it was a good experience. 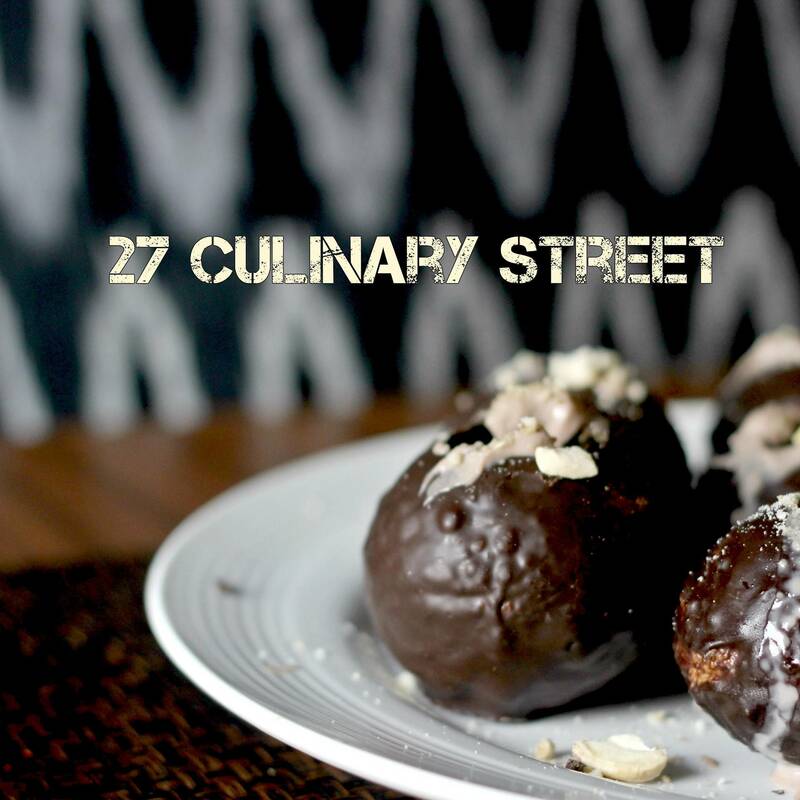 Places to eat in and around Philadelphia. Since Philly is mainly filled with student population, there are a really a lot of options for food. Different cuisines, and various budgets. Here are is a list of the places that we tried. Since we are vegetarian, all the places listed serve vegetarian food, and a fair number of vegetarian options. 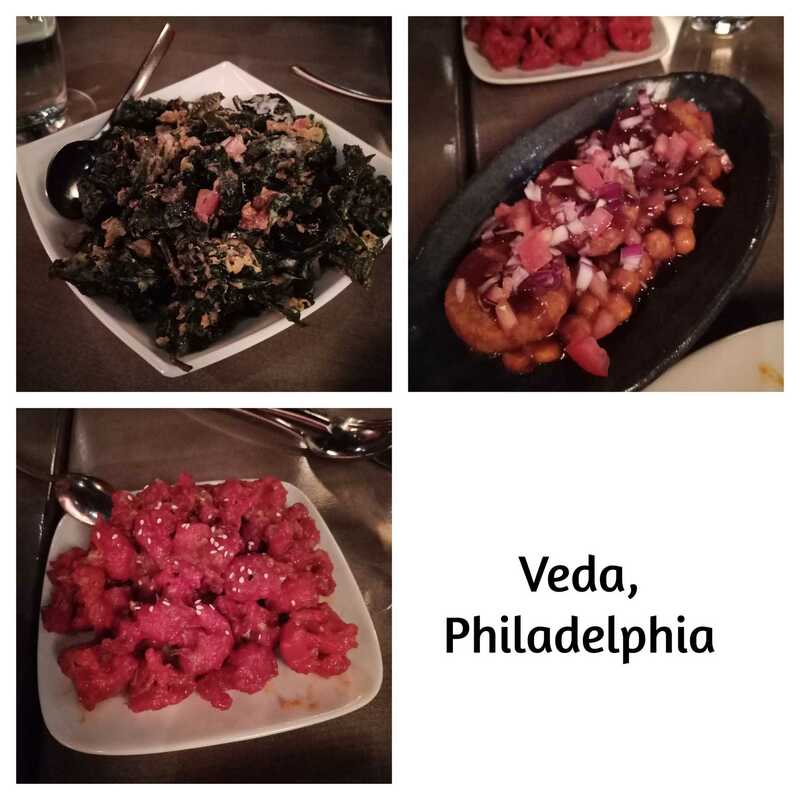 Veda- A slightly fancy Indian place which serves great North Indian food. We tried a Crispy Spinach Chaat (my favourite), Lasooni Gobi (came highly recommended), and and Ragda Patties for starters. Main course included a Biryani, roti and gravies. Han Dynasty- A Chinese place which is a favourite among the students. Personally I did not enjoy the food as much as expected. It was a huge group dinner with all of my sister's friends and families. The dishes ordered were a bit too spicy for my liking and that's the only reason I didn't enjoy it. Ekta- A great place to have an Indian buffet. There was some really tasty gravies to go with the roti and naan. They also had a green tea. Renata Cafe- Probably my favourite place of the entire trip. We went for breakfast and stuffed out faces with pancakes and omelette. (Pro tip- ask them for the current specials menu, because they are made with the seasons best produce.) If you do not eat egg, then you may have close to no options here. 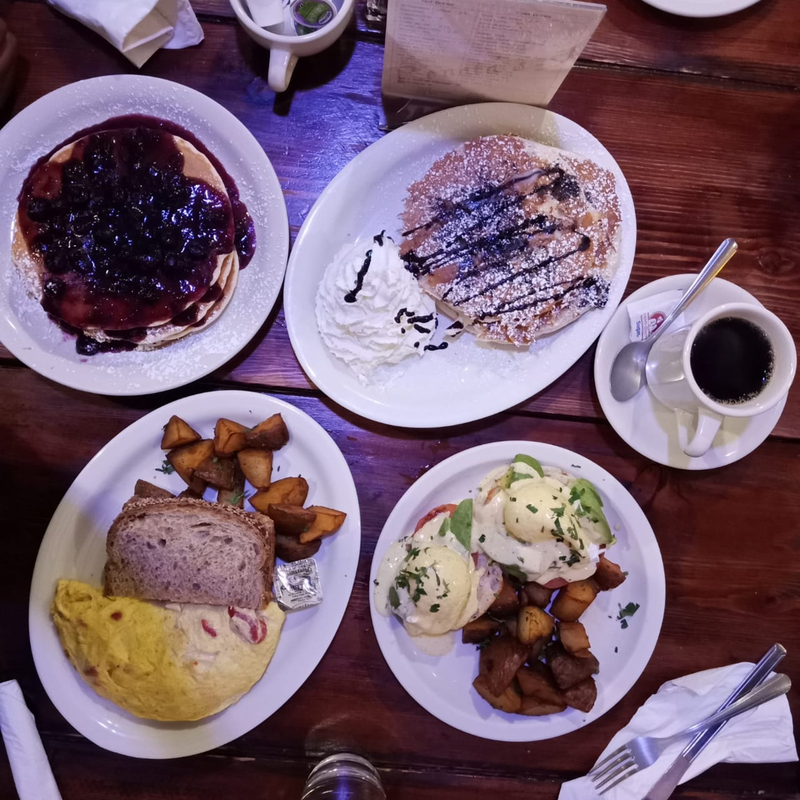 We tried the Blueberry pancakes (yum but it is a big stack so be prepared), the chocolate chip pancakes (this was my favourite because it came with a lot of whipped cream and chocolate), Napoli omelete (throw your diet out of the window before you savour this cheese filled omelette), and Eggs Benedict (not mine. My sister's choice). Let me also add that you might want to get here a bit early because it a popular joint and you could have some waiting time. 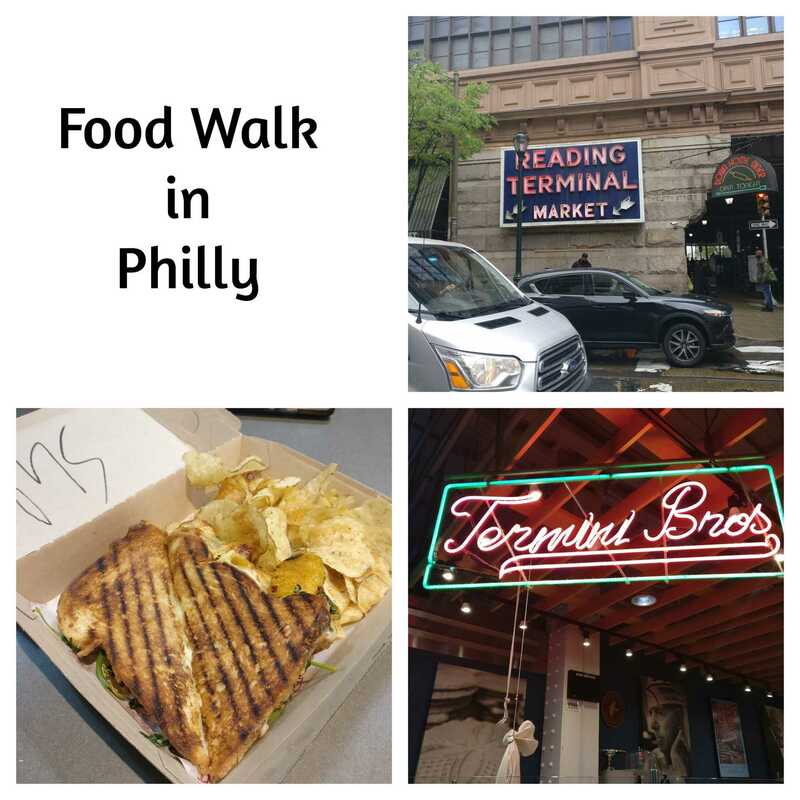 Reading Terminal Market- So the one day when we did go sight seeing around Philly, it was more like a food walk because my sister took us to all of her favourite places to eat. Reading Terminal is a combination between a food court and a market. You get gourmet cheeses, fresh meat, fresh fruit and some fascination chocolates and dessert. We tried the Canoli from Termini Bros and Grilled Cheese Sandwich from MeltKraft Grilled Cheese, which was literally melt-in-your-mouth goodness. I would have loved to explore more but my stomach was already bursting at the seams by this point. Max Brenner - A super famous chocolate place with a specially designed dessert menu. Their hugmug is very popular and that's exactly what we went for. I loved the classic hot chocolate and since it was anyway a rainy day, it was perfect for that weather. You may notice that I have not mentioned breakfast more than once, that is because we stayed at an Airbnb, so most of the days breakfast was at home. We picked up bread, jam, milk, cereal and fruit from a store. For us, that was certainly good enough to go. We did a walking tour of my sister's university - University of Pennsylvania. Such a gorgeous campus and a huge one as well! We also did the famous spots- Rocky Steps, Liberty Bell and Independence Hall. I am a huge National Treasure fan and had to visit these spots. 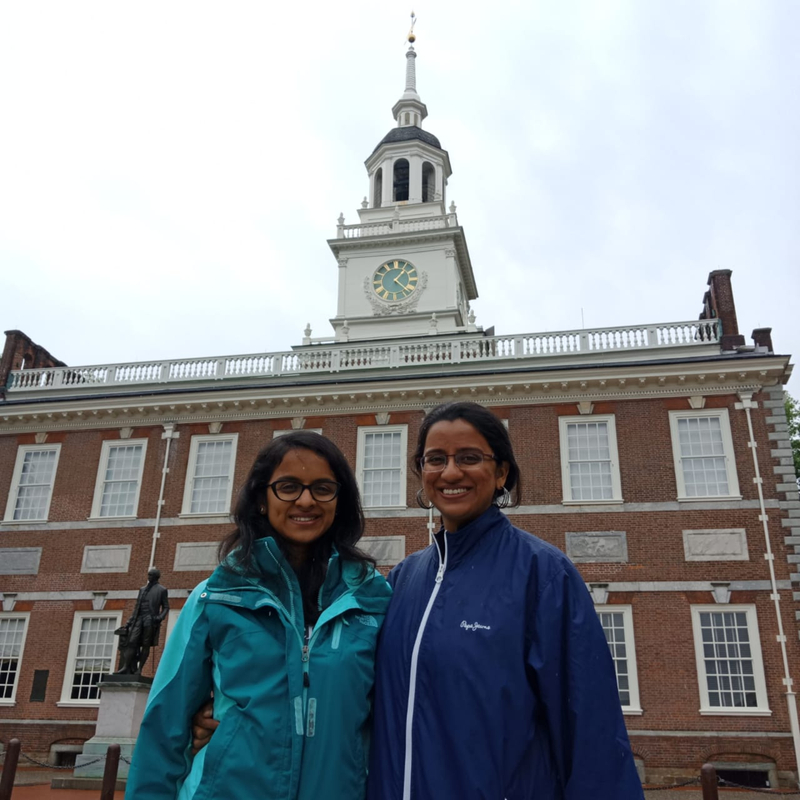 We couldn't go into Independence hall due to lack of time and also because there was a long line of students that particular day. 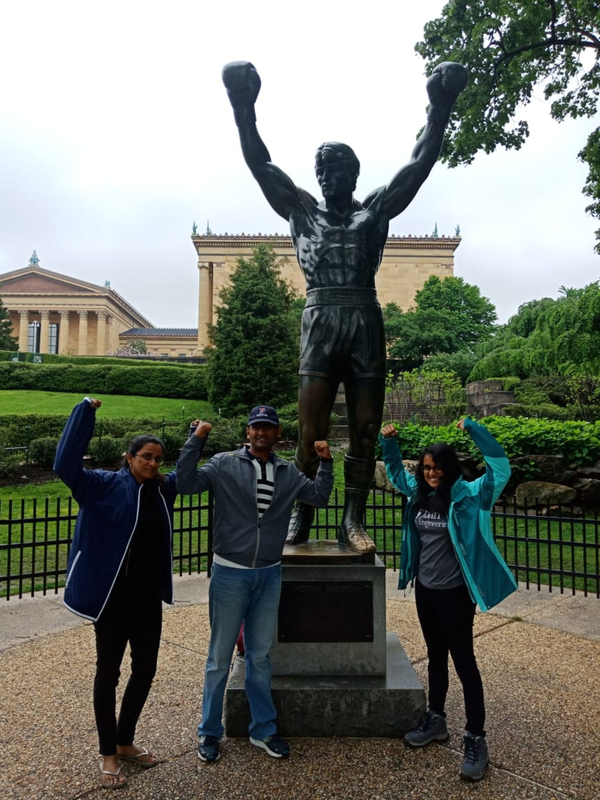 My husband loves Rocky , so we had to cover the Rocky steps as well. Considering we did all of this on one day, I think if you set out early, then you can definitely do the same. What I really liked was how well they have preserved their history and how they have showcased it. There was a bunch a of school kids on a trip to visit Liberty Bell while we were there and the teachers were making sure that all of the kids were informed of how the nation was formed and what it was like before. Right, so this concludes the state of Pennsylvania. I hope you guys found this post informative. 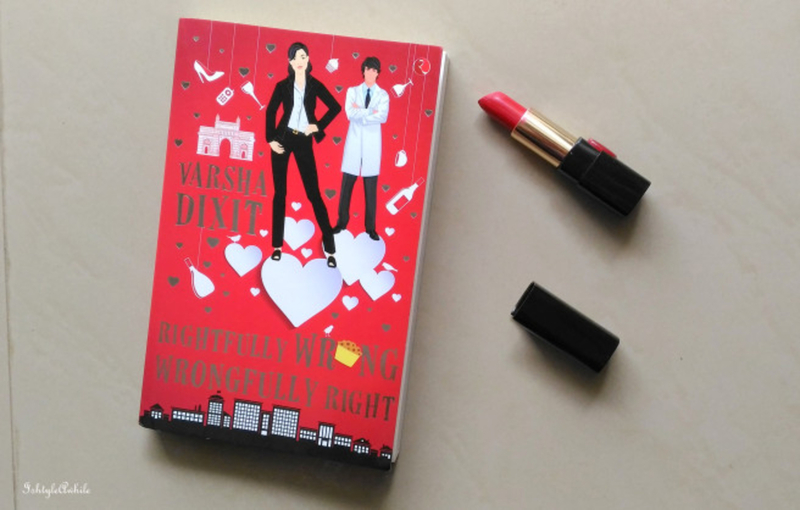 If you liked it, then stay subscribed to IrisMontage via email because there are a lot more posts in this series. You can also follow us on Instagram and Facebook. Let me know in the comments section below if you have any questions.